When you decide to move up to a self-hosted solution for your website one of the first decisions you will encounter is how and where to host your website. You will have so many hosting companies to choose from, each with it’s own set of hosting account options that making a selection can easily result in decision paralysis – a decision put off to another day that never seems to come. We are not going to get into a discussion about or a review of all of the different hosting companies. All have similar options, some more expensive than others and every website developer/designer has his/her favorite, often because that particular company is the most familiar to them. Any review of one particular company’s offerings would be valid only for as long as it takes to read the review. Companies change their offerings according to the market and the desires of their customers. Instead, we’ll stick to a discussion of what types of hosting are available. 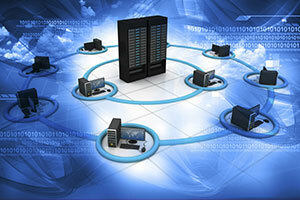 The cheapest and consequently the most often purchased type of hosting is called Shared Hosting. Costs vary anywhere from $1 to $10/month. Most companies offer a similar set of services for that price though the cheaper you get the less you should expect. Some have unlimited storage while others have a maximum amount of storage that you can use. Some have unlimited bandwidth and others have a maximum amount. Going over your permitted bandwidth will often trigger additional fees. Bandwidth is the amount of upload and (primarily) download traffic that your website generates. Each time a visitor requests that a page from your website be displayed on their computer a small message ( request ) is uploaded to the hosting account server and a much larger file ( your web page ) is downloaded for display on their computer. Excessive bandwidth on a website’s server can cause it to disconnect from the Internet – as would happen with something like a viral video that everyone tried to access at once. In general, the less you pay the less you get in storage, bandwidth and service. As with any purchase decision you should always read the fine print. Most companies offer an introductory rate that can adjust significantly in the second year of hosting. Others might offer a free 1-year domain registration with the purchase of hosting – but charge an inflated rate for the renewal of the domain. Some might allow the free use of a single domain name per hosting account and will charge an additional fee to host additional domains. A hosting company will generally offer several tiers of shared hosting providing differing amounts of storage and bandwidth. When you purchase shared hosting you are, in effect, renting a specific amount of storage space on a Web Server. A server is just a type of computer that responds to requests sent over the Internet. The hosting company will try to maximize the income from a given server by putting as many hosting accounts as possible on the server. For the customer this is both good news and bad news. With a greater number of accounts on a given server the hosting company should be able to charge a lower rate per account. The bad news is that there can be as many as 2000 or more hosting accounts on a given server. What difference does that make? Consider a web server similar to a huge apartment building. Everybody has their own apartment and does their own thing in their apartment. But this apartment is sort of special. Everybody with an apartment there has the same address. When the mail ( Internet traffic ) arrives at the address an internal system routes the traffic to the correct apartment. Going back to our website – each domain on the server has the same IP ( Internet Protocol ) address. Traffic to that IP address is resolved within the server to go to the appropriate hosting account and domain on the server. If one website on that server gets blacklisted for some reason – sending out spam emails or serving inappropriate content for instance – the server IP address is placed on the blacklist and all hosting accounts on the server are affected. Additionally, the server has a maximum total traffic bandwidth that it can accept. If one website on the server has some content that goes viral and generates an inordinate amount of traffic, the traffic to other sites on the server will be slowed down or the increased traffic to the viral site combined with the normal traffic to the other sites on the server could exceed the server’s capabilities and take it offline. 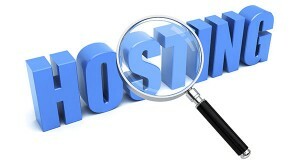 Some hosting companies will, for an additional monthly fee, provide a unique IP address for your hosting account on the shared server. That will take care of the blacklist problem – unless you deserve it yourself. The traffic restrictions of shared hosting will still remain. A step up from the shared hosting account is VPS hosting, or Virtual Private Server. This is still shared hosting in that you are on a server with other accounts but in this case it is like you have your own server. A part of the server is carved out and run as though it was a server in itself. The VPS hosting cost per month is also a step up from shared hosting. I know that one hosting company offers it’s bottom tier of VPS hosting at about $30/month. With VPS hosting your site/sites with have a dedicated IP address and you as the hosting owner will have the ability to, within limits, configure the server as you wish. Different levels of VPS hosting offer different storage amounts, different bandwidth caps and different numbers and speeds of server processors. When your business grows to its tipping point you can rent your own dedicated server. You have full control over it’s configuration ( within the constraints of your hosting purchase) and your website(s) are the only traffic to the server. The hosting company will retain physical control of the server and ensures that it remains up and running. By now you probably want to have a dedicated IT department that can watch over the server operation. The next higher tier of hosting is to buy your own server, but it on your property and take total control and responsibility for it’s operation. This definitely requires a dedicated IT department to handle the complexity. Most large hosting companies have started providing what is called Managed Hosting for specific software bundles, such as WordPress. WordPress managed hosting involves servers that are configured specifically to provide the most efficient operation for the WordPress CMS platform. Managed WordPress Hosting provides a variety of WordPress specific services, such as automatic updating, website and database backup services, database optimization and website caching. Some, however restrict the number of WordPress sites that you may have on your account and others restrict the themes and plugins that you can install on your site. Managed hosting will come at a premium above standard shared hosting because of the optimization for the specific website platform. Prices range from $7/month to $30/month for the lowest tier of service. Google has said that it is now adding some small additional ranking factor to sites which use SSL. No one except Google knows just how much of a rating boost is given to the change but after the announcement there were all sorts of articles published about converting your site to SSL. You are required to have an active SSL certificate if you are storing sensitive information on your website. If you intend to sell things from your website and do not want to go through a 3rd party payment system you will need an SSL certificate. If your sales will use a service like Paypal, Stripe or Authorize.net then all sensitive information is collected by their payment gateway and your site probably does not need to have its own SSL certificate. However, when someone is considering purchasing something from your website having that lock symbol in the address bar can make the difference in having someone complete the transaction or abandoning the shopping cart without a purchase. I hope these short descriptions have given you a little more background information to help you make your website hosting decision. If you have any questions fee free to leave a comment.